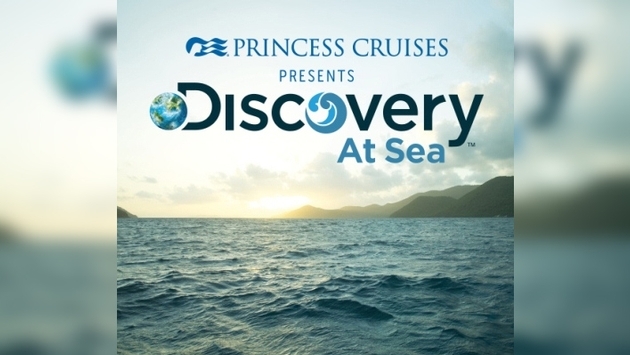 The Pulse: Princess partners with Discovery Network. Princess Cruises, one of the world’s best-known names in cruising, and Discovery Consumer Products, the licensing arm of Discovery Communications the world’s #1 pay-TV programmer, today announced their collaboration to create Discovery At Sea, interactive onboard activities and shore excursions to entertain and delight families aboard Princess ships. The new Discovery At Sea cruise vacations will feature themed tours, science activities, hands-on programs and games based on Discovery’s breadth of brands and programming. Debuting on Princess Cruises’ ships in early 2015, the interactive experiences are designed to bring to life the nature, wildlife and history of the regions guests are sailing. Discovery At Sea content will be based on top-rated Discovery network properties from Discovery Channel, TLC, Animal Planet and Science Channel. Some of the integrations guests will experience are based on Shark Week, Mythbusters and Deadliest Catch. • Discovery Under the Stars – Guests on select cruise vacations will forever look up at the night sky in a whole new way after this cosmic voyage from the ship’s top deck. • Shark Week at Sea – This experience will challenge adults and kids alike, testing their knowledge of the ocean with trivia games and a variety of themed activities. • Baking at Sea with TLC – All ages will be able to join in the fun of learning to bake and decorate cakes by the best pastry chefs at sea. • Discovery, Animal Planet and Science Channel Shore Excursions - Offerings will include panning for gold on the Gold Rush inspired tour; getting up-close with each destination’s native animals during Animal Planet tours; and learning how popular foods and beverages go from farm to table on Science Channel How It’s Made tours. • Discovery Kids and Teens Program – Age-appropriate onboard activities will include fun and engaging science experiments made popular by Mythbusters; Animal Planet themed activities; brain teasers and competitions; and videos, puzzles, games and apps from Discovery. To further enhance the cruise experience, Princess ships will feature a lineup of television programming including hit shows from Discovery Channel, Animal Planet and TLC. Discovery limited-time-only merchandise will also be available onboard, offering passengers a chance to bring home branded keepsake souvenirs.